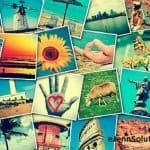 Home » Tuesday Twitter Tweaks! Twitter … the fun social site that everyone struggles with! There are so many reasons to use twitter for blogging, for business, and just for fun social interaction! While I’m working on clients accounts, I will occasionally Re-tweet an item and give the original tweet a bit more impact. I thought I would start sharing these “Twitter Tweaks” to show everyone how to improve what they are tweeting. Every Tuesday, I’ll place a “Twitter Tweak” to show you how you can make a better impact. Hopefully, if all goes well – we’ll also show the outcome of that tweet. First Twitter Tweak was from a blogger below. This is a blogger just starting out in the shoe review process. She did a great blog post promoting her favorite shoe. However, when she tweeted the post out to twitter, she used the company as a hashtag. Below is a snap shot of her tweet (nothing wrong with the way she did it) and my tweet to increase impact. How did it work out? As you can see from the screen shot below, the shoe company “Favorited” my post. The revised tweet was easier for them to see. I contacted the blogger and encouraged her to always include the company’s twitter handle along with the blog post of the product she is reviewing. There you have it … one quick simple twitter tweak for you to use in your blogging efforts. Need help with Twitter for your blog or business? Contact me for a quick consulting hour! How To Increase Your Twitter Stats!